WeMove Studio is a community movement-based hub for connection, dance and healing… We believe in bringing dance back into our daily lives. WeMove is a fun and supportive environment for everyone to come and enjoy moving! 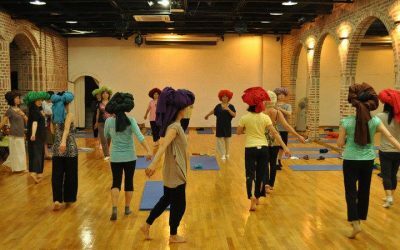 We offer a variety of movement and dance classes each week ranging from Belly Dance, Hula, Contemporary, Jazz, Urban Dance and Zouk Lambada to Gyrokinesis, Yoga, Qigong and Somatic Movement… All led by awesome, experienced facilitators! Find great kids classes during school terms! Scroll down to see our workshops and events popping up throughout the year!! Its here! Mullumbimby’s own home for movement!